I'm a simple guy with a simple mind who doesn't find necessities of thinking too much and/or figuring out the ideas behind things that interest me. I'd save everything that I find and like, and post them here without having to explain why I like them. Hope you like them too. 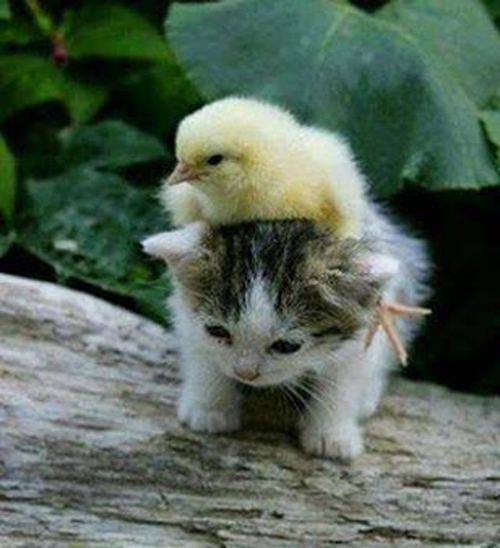 This entry was posted in animal and tagged animal, cat, chick, chicken, cute, friend, friendship, kitten. Bookmark the permalink.